Whether you run a custom ROM or have a device from Samsung or LG that supports it, you might have the ability to enable a battery percentage monitor in your notification bar. Since the beginning, this feature wasn’t built directly into Android for users to enable, but now with Kit Kat and the Nexus 5 out, it appears Google has finally built it in. The only issue so far is that some minor tweaking is needed to enable the feature. If you have a Nexus 5, and are comfortable using adb, then all you need to do is type a single command and reboot your device. From there, you will see a white-on-white percentage on top of your battery. The issue with this is that you won’t be able to see the percentage unless your battery is 50% drained or more to see it. This fact leads us to believe that this is why Google “hid” the feature for now. But still, it’s a nice feature for people who like to have a numerical value placed on their battery life in the notification bar. Here is what your battery will look like with the percentage enabled. A developer on XDA has bundled the simple adb code into an installable APK, so messing with a computer is rendered unnecessary. Simply install the app, hit “Enable,” and then reboot. Again, keep in mind that the percentage text is white, so if you have a full battery or anything about 50%, it’s pretty useless. 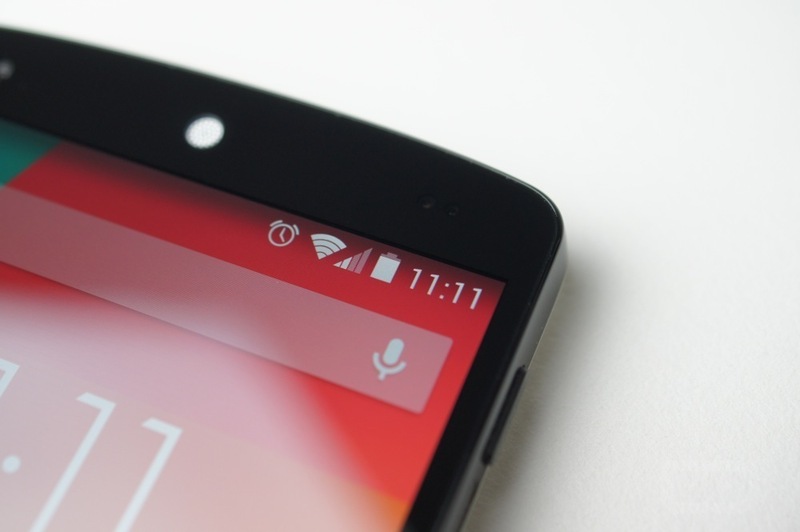 If you have a Nexus 5, go for it.